Britons have been advised to be on their guard for jellyfish to ensure they enjoy a trouble-free holiday in Greece this summer. The UK Foreign & Commonwealth Office (FCO) has updated its travel advice for Greece following reports of an increase in the number of jellyfish blooms around the country. Britons are being urged to keep a close eye on local advice as regards jellyfish, while of course holidaymakers will as ever be wanting to ensure they have good quality travel insurance and medical travel insurance in place whatever their destination. The development comes after officials issued warnings about jellyfish in the Mediterranean coastal waters of France and Italy. "We have been alerted to large numbers of jellyfish in the Mediterranean this summer, especially in a number of key holiday destinations for UK tourists," an FCO spokeswoman told BBC News. She said the key aim is to make the FCO travel advice as useful as possible for people travelling overseas. 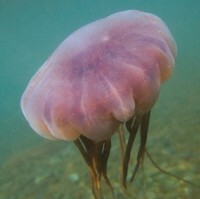 However, an expert in Italy told BBC News there is no need for any undue concern about the risks posed by jellyfish. Professor Piraino, a marine biologist at the University of Salento in southern Italy, said a project known as the JellyRisk programme has been closely monitoring jellyfish activity and its impact on humans since 2009. The expert is a project co-ordinator on the scheme and he acknowledged there has been an increase in jellyfish but the risk they pose is manageable. "Of course, as in any other ocean or sea in the world, there might be some problems," he said. However, he added that resorts across the Mediterranean are fortunate because the sea is not home to any deadly jellyfish. The team behind the JellyRisk programme has developed a smartphone app enabling people to find out about jellyfish numbers in their current location. It also provides scientific information about how to treat jellyfish stings in view of the fact the appropriate treatment depends on the species involved. Anti-jellyfish nets are also due to be installed at several popular beaches to assess whether they are effective.